In 1774, Pierre Jaquet-Droz (1721-1790), his son Henri-Louis Jaquet-Droz (1752-1791) and their fellow clockmaker Jean-Frédéric Leschot (1746-1824) presented three humanoid automata known as The Writer, The Musician and The Draughtsman, for the first time at their workshop in La Chaux-de-Fonds. Le succès est énorme. Visitors traveled great distances to admire it. 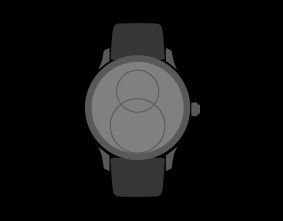 Already renowned in Europe for the quality and complexity of their horological creations, the Jaquet-Droz father and son team took advantage of this success to get a firm foothold on the international market. The automata presented in 1774 were instrumental to this expansion, serving as a very effective vehicle for communication and marketing Astute businessmen, Pierre and Henri-Louis Jaquet-Droz traveled through Europe with their automata, holding demonstrations at many courts of Europe from 1774 on. They made their way to the court of Louis XVI in Paris, Brussels and the Netherlands. In 1775, in London, one of the most important centers of clockmaking in the 18th century, Henri-Louis Jaquet-Droz met clock merchants specialized in trade with China including the famous James Cox, who handled the sale of goods through the intermediary of his son in Canton, and the Duvals. 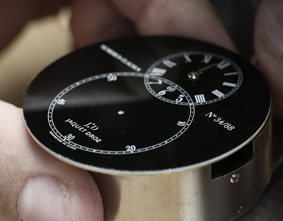 Henri-Louis Jaquet-Droz installed and managed a workshop whose output was intended mainly for China. With respect to the period 1781-1810, there is reason to think that two-thirds of the 650 items sold (mentioned in documents) were shipped to China. Catalogues enumerated the characteristics of the watches, snuff boxes, vials and temples, always sold in pairs. They described the material, the mechanism (sometimes) and the decoration (always), indicating whether a particular object featured enameling, precious stones, singing birds or musical airs. In Geneva, Jean-Frédéric Leschot played a key role from 1784 onward. He perfected, assembled, packed, shipped and ensured the delivery of pieces to London where they were handed over to the merchants that would ship them to Canton. 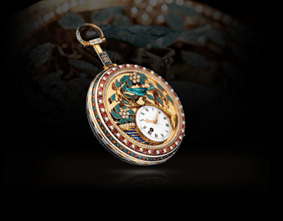 The ambassador of Automates & merveilles to China The Writer was the first Jaquet-Droz automaton. 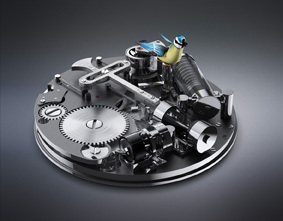 Its creator Pierre Jaquet-Droz began work on it in 1768, pursuing his research in the field of picturesque mechanisms and the artificial duplication of life and motion. About 70 cm tall, the automaton took the form of a little boy sitting on a stool, writing with a goose-quill pen on a mahogany table. 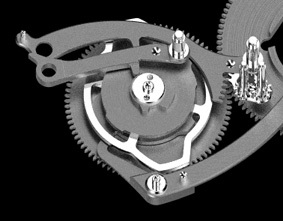 This mechanism with more than 4’000 components was no doubt the most complex of the three humanoid automata. Programmable, the device was exceptional in that it could write any 40-character text on three lines. With his right hand, The Writer dipped his pen into an inkwell, with his eyes and head following the movement, then shook his pen and wrote his text, one letter at a time, on a piece of paper that shifted in position. 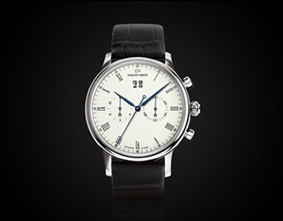 Pierre Jaquet-Droz, Henri-Louis Jaquet-Droz and Jean-Frédéric Leschot never made the journey to China. However, their reputation, based on the superior quality of their goods, became well established in that country. On December 8, Montres Jaquet Droz SA was proud to present The Writer, which had made the long journey to Beijing for the first time. 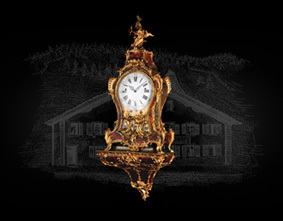 Thanks to the support of Montres Jaquet Droz SA and the loan of the masterpiece by Le Musée d’art et d’histoire de Neuchâtel, a new chapter has been added to the story of the clockmakers from La Chaux-de-Fonds, a handsome tribute to three remarkable men. Caroline Junier, Curator of Le Musée d’art et d’histoire de Neuchâtel, and Thierry Amstutz, master watchmaker, also made the trip from Switzerland and helped make this rare event possible. 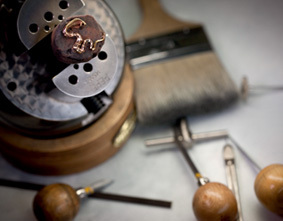 The Whampoa Club, a perfect place for the juxtaposition of tradition and technology, was the venue chosen for a unique demonstration witnessed by fortunate watch connoisseurs and aficionados:before their wondering eyes, The Writer penned the words "Jaquet Droz en Chine" (Jaquet Droz in China). The lucky few were then shown antique pieces that have been carefully preserved by Jaquet Droz, as well as several models from the current collection. The “Automates & Merveilles” association presents plans for an exhibition: one exhibition, 3 cities and 3 museums The idea of an exhibition germinated from the presence of the historic automata constructed by Pierre and Henri-Louis Jaquet-Droz in the collections of the Musée d’art et d’histoire de Neuchâtel and the latter's desire to gain more scientific knowledge about these creative geniuses and the world of clockwork automata. The Musée d’art et d’histoire de Neuchâtel, the Musée international d’horlogerie de La Chaux-de-Fonds and the Musée d’horlogerie du Locle-Château des Monts came together to present an exhibition on three outstanding masters of 18th-century clockmaking: Pierre Jaquet-Droz, his son Henri-Louis and their colleague Jean-Frédéric Leschot. 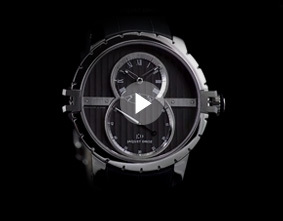 To highlight the Jaquet-Droz and Leschot genius, as well as their quest for answers – something that connects them to today's world – the three museums decided to share their expertise and collections in order to mount an exhibition enriched by many exceptional pieces on loan from private and public collections. Presented simultaneously at all three institutions, this international artistic and technical event will take the visitor from the 18th to the 21st century.